The former Dutch international was injured in the process of scoring his 25th-minute goal from close range, writhing for several minutes on the goal line holding his left knee. Corica said de Jong's status was cloudy. 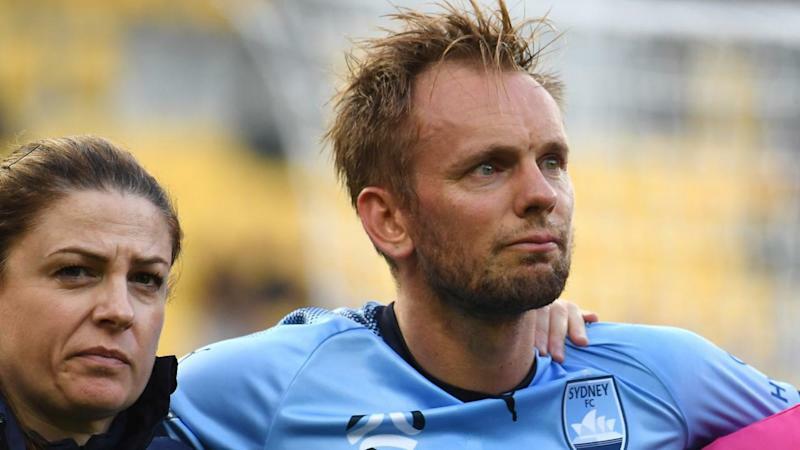 The injuries took the gloss off a methodical display in which the Sky Blues frustrated a Phoenix side whose club-record unbeaten run has ended at nine matches. De Jong's goal came via an indirect free kick, when a stretching assist from Aaron Calver left the Dutch international to prod home from close range. He collapsed to turf in the same motion, leading to a lengthy treatment period and slow exit down the tunnel.